Discussion in 'Custom Cases & Projects' started by Thehack, Jan 14, 2019. After project Pure I am working on my next case to address some of the needs/wants of the community in builds. The layout has the gpu and cpu fans on the same side. The goal of this case is reliably power a 400W of components in the smallest size possible. PSU: 86mm x 160mm x 53mm area for PSU. C6 power entry. Meanwell RPS, HDPLEX 400 fits out of the box. Designed for plugin units. Note: All these cards are expected fit, based on manufacturer's provided specifications. Cards that are guaranteed to fit 100% are reference style cards, either 10.5" (270mm) WITHOUT displayport, or 10" (257mm) WITH displayport. LegendsofMace, HFoletto, zzmadd and 11 others like this. Will this work as a 400w brickless build (upcoming HDPlex due out on the 20th)? Whoa what is that? They have a new one coming? It could be useful to have dimensions of the section which is intended for a PSU. It'll be design for brickless builds. Up to 86mn x 160mm x 52mm PSU, C6 power entry. You can fit more length depending on your GPU. I designed to have the mounting points for HDPLEX and Meanwell units, but anything can be done with double sided tape. Front panel is not final. The manufacturer needs to confirm it can be manufactured. LegendsofMace and Supercluster like this. br3nd0, CC Ricers and Jello like this. Indeed. That's also sitting in my design box. Jello and cleveland like this. can you change cooler height to 49mm ?? can you change cooler height to 48mm ?? The issue with increasing to 48 is that you still want to avoid using 48mm cooler, because the C7 isn't significantly better, and it being next to the vents would cause turbulence. So most people end up with the NH-L9 anyways. And once you hit 48mm I'm really competing with the Sentry or the S401. So at this time, I don't think it's worth it to increase the size to 48mm. i don't want to use a C7, i want to use a BlackRidge cooler. please set a cooler height of 49mm. To do that he would need to increase the volume of the case by approx 25% to approx 6.8L. At that volume there are other cases to consider. Without getting too off topic, if you design a LP GPU version, please make it VESA mountable. That is all. he could reduce the width of this case instead. The width cannot be reduced further. It is designed for near reference GPU. This purely designed 400W builds and not a mm more. BeethovenNinja, br3nd0 and Reldey like this. Yeah I'm curious about this too. 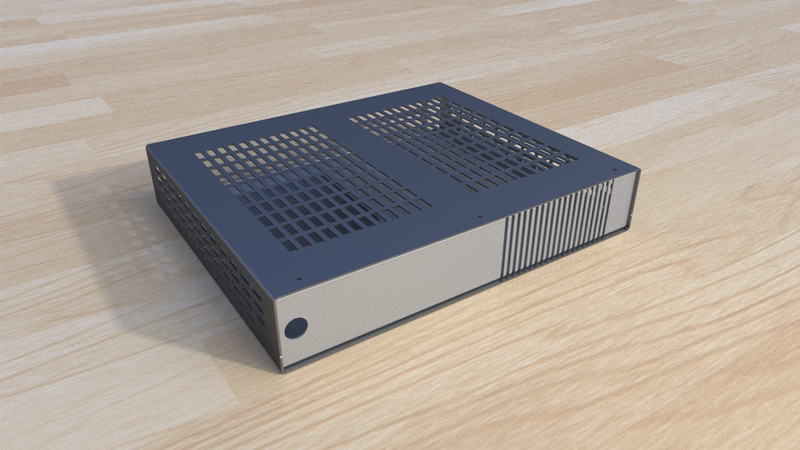 I had a design like this (check the spoilers for a metal design), but turned out to be more similar in size to a case for a full-sized card when you factored in the internal PSU. Maybe it would be more compact if the PSU area was in the front instead of the middle. 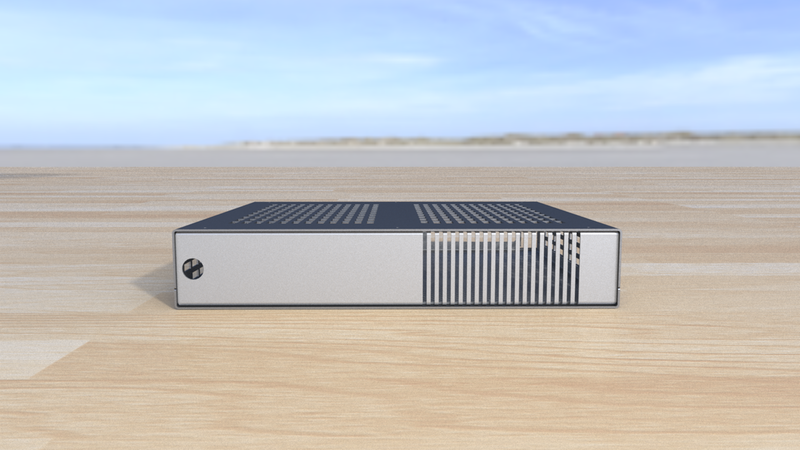 This seems quite close to the skyreach 4(in concept) except with a full(reference size) GPU.